Want to live longer? Most people do but when you ask them they usually qualify it with a statement along the lines of “I don’t want to live to extreme old age if it means living in pain, discomfort, or confusion.” This is natural and completely understandable. One thing we can do to ensure we do live longer and live healthier and more fulfilling (comfortable) lives into old age is to look to the leading causes of death list to see what conditions typically end lives in America and what conditions cause the most amount of discomfort in old age. Once we know what these conditions are we can then cherry pick which conditions we want to avoid. If you clicked through the list above you probably noticed that heart disease is number one followed by cancer and stroke and then diabetes a few more spots down. Cancer is a beast that has many known and unknown causes. Obviously many smart people are looking for ways to beat this problem and stroke is related to heart disease. Heart disease is another beast that is largely, although not entirely, self-inflicted. In fact many people who have heart disease enjoy their lives right up to the very end. Unfortunately that end may come early but it is not always uncomfortable. Diabetes however is another story. For generations diabetes was a genetic problem and developed in childhood. Adult-onset diabetes, which we now commonly call type-2 diabetes was somewhat rare. These days this is not the case. And what is not evident in the statistics is that diabetes is often times the cause of other conditions which actually do end up ending one's life. Over the course of the past 50 years or so type 2 diabetes has increased in prevalence and is now one of the leading causes of death. Diabetes increases one’s odds of developing obesity, heart disease, stroke, and possibly dementia. This condition, with some exceptions, is often brought on by the person himself. Unlike heart disease diabetics are not always happy and comfortable up until the very end. Many diabetics start experiencing some debilitating effects of the conditions it sets in over the course of many years. When someone starts developing diabetes it usually means their blood sugar levels are too high too often. The types of foods we eat play a major role in our blood sugar levels as do the activities we take part in. In generations past simple carbohydrates were less abundant in everyday diets and activity levels of average American’s were higher as walking and physical labor were a bigger part of the average person’s daily life. As a result the normal blood sugar levels for American’s were almost always in a safe range, which is why type 2 diabetes was so rare. Today a normal blood glucose range for men and women is higher simply because of the choices we make in our everyday lives. If we want to live longer, healthier, more fulfilling lives we have to get back to the lifestyle choices that made type 2 diabetes a rare event. Luckily this is possible and I’ll share a few things you can do today to lower fasting blood sugar levels to help prevent the onset of diabetes. This goes without saying. People who eat more gain more weight and increase their propensity for developing type 2 diabetes. If you eat less food at every meal then your sugar levels will not spike as high, your weight will moderate, and you should experience a gradual decline in glucose levels on average. Of course decreasing the right types of foods is still important. You can’t decrease the amount of fresh veggies from your plate without changing any other dietary pattern and hope all goes well. Veggies are a very important part of your diet and they should always be included in your diet in abundance. 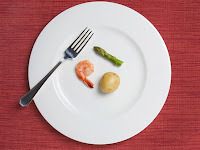 If however you were to take not change what foods you eat but rather cut the volume of those foods in the same proportions you would have a much easier time in lowering your fasting blood sugar levels over the long run. This method of lowering fasting glucose levels has to do with changing the proportions of the foods you eat for the better. Unlike the previous step this step requires you to look at the foods you typically eat and identify which foods are high on the glycemic index and which foods are low on the index. Once you identify the foods which you commonly eat that are high on the index then you need to find ways to eat those foods less often. On the flip side once you identify the foods low on the glycemic index which you already eat you need to start adding these foods to your meals more often. One simple example of this concept is eating rice versus quinoa. Many people eat rice with their meals almost on a daily basis. Many of these same people may substitute rice for quinoa from time to time however making this substitution more often will help significantly over the long term. Quinoa is far lower on the GL scale than rice is and can help keep your blood sugar levels lower. For more ideas make sure to find a good food list for low and high glycemic index foods to find your best ways to make substitutions. It’s no surprise to anyone that insulin sensitivity goes hand-in-hand with hyperglycemia. When your body digests food and converts it into glucose for distribution throughout the body and the insulin produced doesn’t deliver that insulin quick enough you can see how blood sugar levels remain high for too long. Low levels of insulin sensitivity cause spikes in blood sugar to magnify. Although your body may be able to work off these high levels of glucose it is not efficient as it should be. Certain foods and supplements have been shown conclusively to improve insulin sensitivity in a meaningful way. 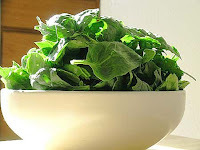 One extra special nutrient found in leafy green vegetables like spinach or collard greens is called alpha-lipolic-acid otherwise known as ALA. Studies show that this nutrient helps with converting glucose to energy, the primary purpose of insulin. In conjunction with eating more foods low on the glycemic index consuming more foods rich in alpha-lipolic acid can help improve your sensitivity to insulin and keep fasting glucose in the blood lower in time. 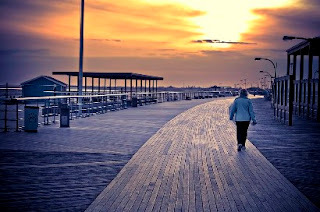 One excellent way to lower fasting blood sugar levels over time is to start walking more. It really doesn’t take much more than that. Many studies show that general activities levels which are higher correlate closely with improved and reduced insulin resistance. Basically as you get more active your body doesn’t resist insulin and converts glucose into energy more efficiently. Walking is about as stress free as any kind of exercise and as a result is one of the easiest forms of exercise you can take up. This is very handy for those people with high blood sugar levels who have a hard time pushing themselves to exercise. If you do start exercising or simply walking everyday make sure to get a pedometer and track your steps in a day. Every week add up your steps and try to hit that mark or exceed it the following week. After a while you will have set in easy habits that will make a difference in your insulin resistance and blood sugar levels both after eating and in the morning. One final way to lower fasting blood sugar levels is to emphasize eating more foods with fiber at every meal. This does not mean take a fiber shake or supplement at bedtime to make up for your fiber deficiencies throughout the day. No, you need to add fiber to every meal because studies show that eating fiber with your meals results in lower spikes in blood sugar. 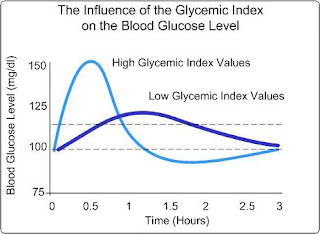 It doesn’t take a genius to understand that if blood sugar doesn’t spike as high it shouldn’t take as long to return to normal levels either which is why it’s worth fitting into your breakfasts, lunches, and dinners. Luckily, all the veggies that you add to your meals tend to have more fiber in them so this should help cover some of the deficiencies. For the remainder look to the foods you already eat and identify those which are fiber rich and try to add them to more meals than you have in the past. I find the preceding info very simple to implement and extremely important. I have a number of close family members who have diabetes and have battled the effects of the condition for many years. The end of days for diabetics is not always pretty, managing your glucose levels as best as possible really should be more commonly emphasized. These simple tips are lifestyle decisions that take dedication to follow but they can easily help reduce your risks for developing diabetes. This post goes into more on reversing diabetes naturally before it progresses too much. I hope you’ll read it and share your experiences with diabetes treatment options below in the comments. If you don’t have diabetes but are concerned about your blood sugar levels anyway then make sure to read this post for more ways to lower insulin resistance. Looking to lower LDL cholesterol levels naturally as a supplement to your doctor’s prescribed medication? You should be. Lifestyle and dietary choices are most often the cause of clogged arteries and despite the fact that there is a genetic predisposition to high cholesterol changing your diet can go a long way to lowering cholesterol and getting healthy again. In past posts on this blog I’ve noted a number of findings which correlate various lifestyle choices to increases in cholesterol. A well known correlation is smoking. Smokers tend to have higher cholesterol levels and higher rates of heart disease and other medical problems. Another obvious choice is physical inactivity. This may mean skipping your trip to the gym on occasion but all to often this actually means complete and utter inactivity. When you sit at a desk all day and then come home and sit on the couch all evening only getting up to walk to the car, kitchen, or the bathroom then you are going to have problems. If you are like most people there are certain things you love to eat. Many of them are not good for you at all and others are quite good for you. The trick to eating healthy is to not eliminate foods from your life but to minimize the consumption of bad foods and increase the consumption of good foods. Even the foods that raise your cholesterol have a part in your diet, you just have to figure out how to moderate them. 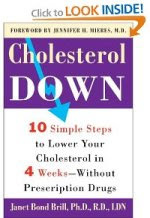 I came across a book on this very topic: Cholesterol Down: Ten Simple Steps to Lower Your Cholesterol in Four Weeks (Without Prescription Drugs). We all could use a little help in staying healthy, lowering bad cholesterol, raising good cholesterol, and knowing how to pair foods for our benefit. This book can help and it will help you find ways to lower your cholesterol, unclog arteries, and get back to living a healthy life without forcing you to change your entire lifestyle. There are obviously many books and guides available on this topic but this book has just about the best reviews of any I've ever seen on the topic. Click here to see the book details and reviews on Amazon. This goes without saying you should always be working with a physician, especially when you have high cholesterol, blocked or clogged arteries, or other serious medical conditions. If your doctor prescribes treatment you should follow his or her advice but so long as he or she is ok with your nutrition plan there’s no reason why you can’t attack your cholesterol problem naturally with the foods you eat at the same time.